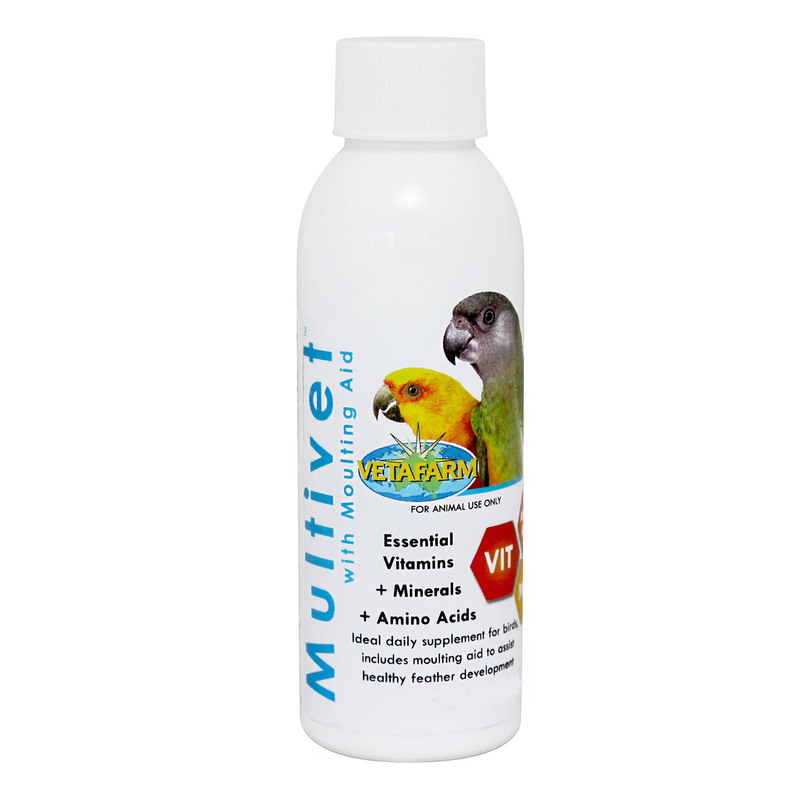 Vetafarm Multivet Liquid with Moulting Aid is an essential multivitamin supplement for birds especially during the moulting season. The oral supplement is enriched with vitamins, minerals and amino acids. It is an ideal supplement for birds, to assist for the healthy feather development. Vetafarm Multivet supports seed eating birds during the nutritionally demanding period of moulting. Supply for 3-5 days each week and daily during the moulting season. Add 5mLs of Moulting Aid to approximately 1Kg of soft or wet feeds. Vitamin A, D3, E, K, B12, Biotin, Nicotinamide, Potassium Iodine, Thiamine, Riboflavin, Panothenic Acid, Lysine, Pyridoxine, Methionine, Choline Bitartrate, Folic Acid, Zinc, Manganese, Copper, Cobalt.